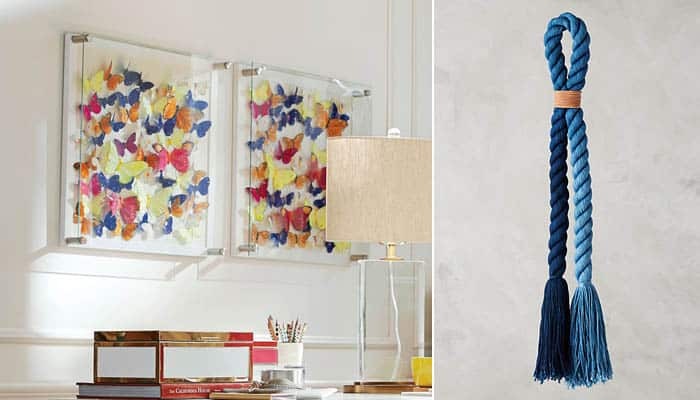 Left: Place faux butterflies (available in the floral section in most craft stores) in shadowboxes to re-create this dreamy wall art from Pottery Barn. Right: Make this Anthropologie inspired wall hanging by dip dyeing a length of rope and securing it with leather cord. Left– Instead of the usual pictures, frame a group of Agate slices.They’re inexpensive and they come in a rainbow of colors. 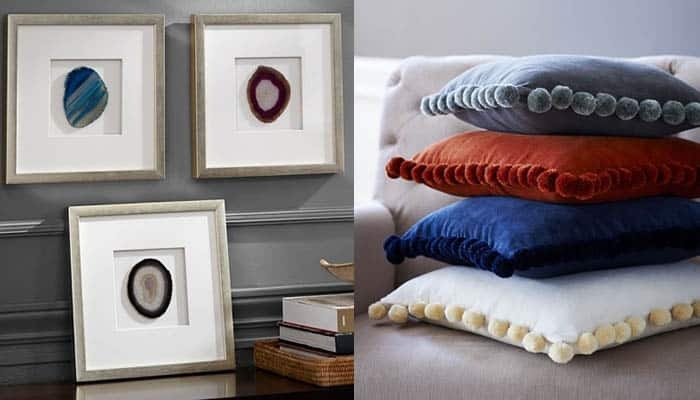 Right– Dress up plain throw pillows by sewing on pom pom fringe. Left: Get huge prints for cheap at Staples by purchasing their engineering prints. 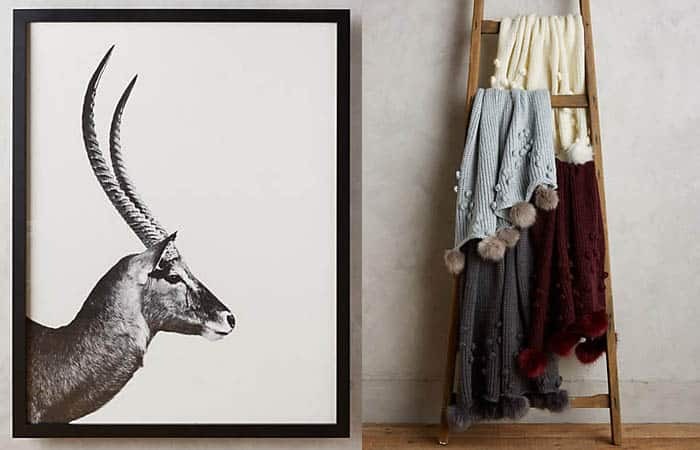 Search clip art and stock images for cool profile images of animals to re-create this art by Anthropologie. Right: Sew faux fur pom poms on to throws to give them a luxe feel.